Businesses of 1-5 employees, including start-ups and the self-employed, access group benefit quoting and recommendations through Maplewood Benefits. 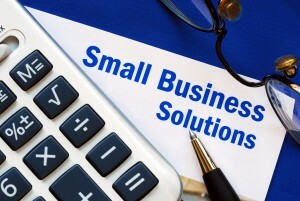 Now more than ever small businesses have fewer resources and less information as they purchase health insurance. Maplewood Benefits will assist you with navigating the streams of benefit plans, updated regulations and pricing options. We align recommendations with your specific business goals and objectives. Small businesses need access to assistance with strategies for employer contribution, enrollment management, new hire benefit communication, COBRA administration and more. Maplewood Benefits will partner with you and your benefit program. We are accessible and available to address your questions and needs. Contact us and get to know the difference that is Maplewood Benefits. Individuals are eligible for purchasing during the individual annual open enrollment period or upon a qualifying event. A qualifying event is an event that triggers an open enrollment window for an individual or family to purchase health insurance outside of the scheduled open enrollment periods. Includes the birth or adoption of a child, marriage or divorce, or the loss of other coverage.